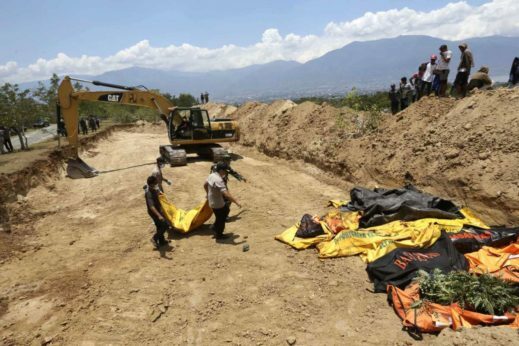 PALU, Indonesia – Residents too afraid to sleep indoors camped out in the darkness while victims recounted harrowing stories of being separated from their loved ones after a powerful earthquake triggered a tsunami that unleashed waves as high as 6 meters (20 feet), killing hundreds on the Indonesian island of Sulawesi. 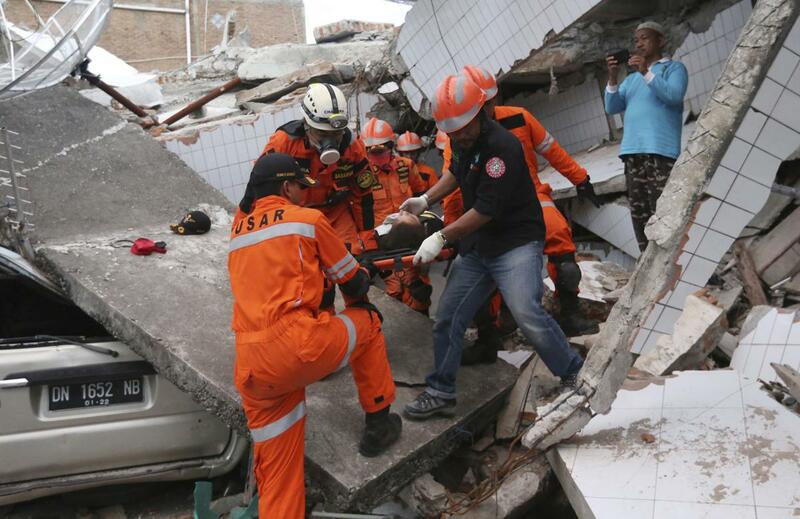 The official death toll has soared past 800 with all the fatalities coming in the hard-hit city of Palu, but it was expected to rise once rescuers reached surrounding coastal areas, said disaster agency spokesman Sutopo Purwo Nugroho. He said others were unaccounted for, without giving an estimate. The nearby cities of Donggala and Mamuju were also ravaged, but little information was available due to damaged roads and disrupted telecommunications.